It’s true that most traditional Polish foods include dishes loaded with meat, especially pork. For all vegetarians out there, it might not seem as if Poland has much to offer. But this assumption could not be farther from the truth. 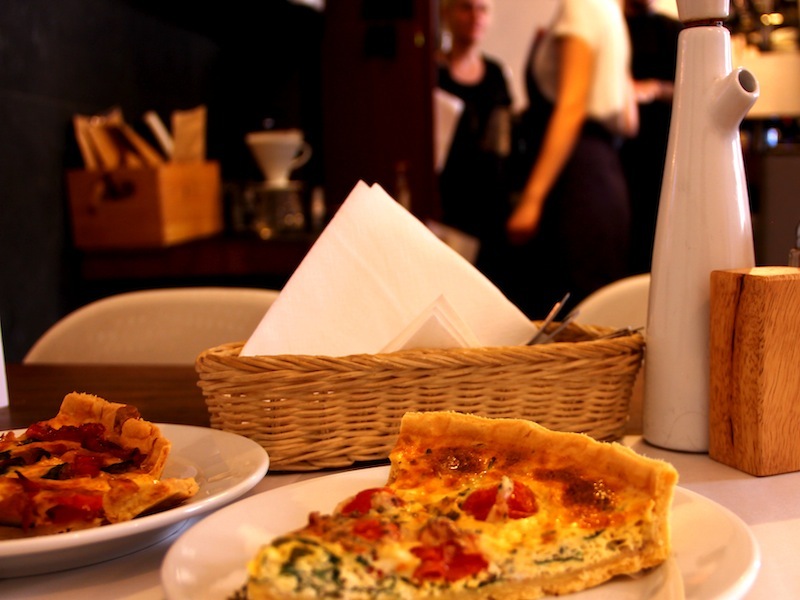 When it comes to vegetarian food in Krakow, the city is full of cafes and restaurants offering both vegetarian and vegan options. You’ll not only find delicious meals, but a meat-free fill up of hearty homemade Polish food. Be sure to ask your guide to point them out during your Krakow Absolute Walking Tour. 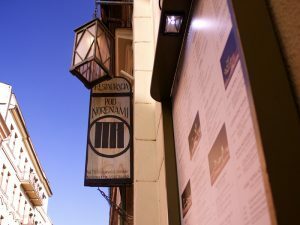 Here is a selection of some of the best vegetarian food in Krakow. 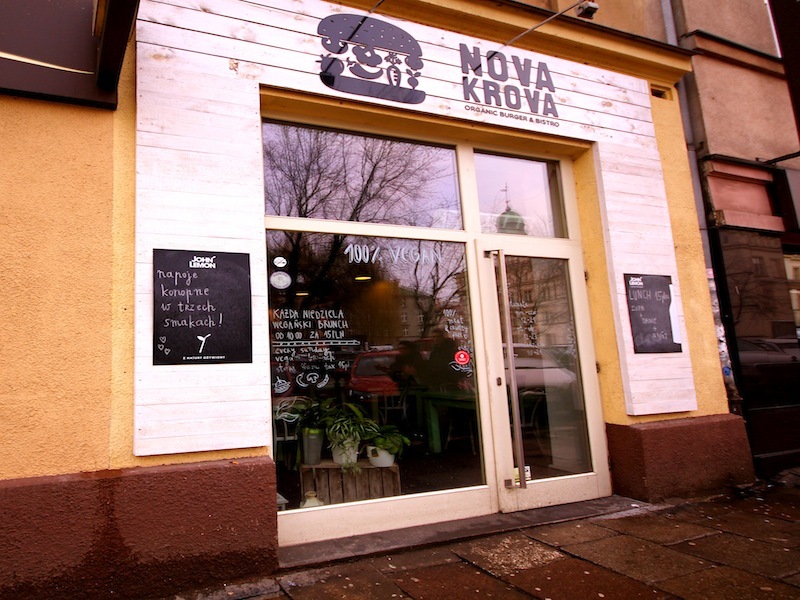 Nova Krova provides an excellent vegan alternative for anyone with those post-sightseeing burger cravings. It’s tasty burgers come packed full of ingredients such as bean, falafel or tofu. You can wash it down with a thirst-quenching 100% natural John Lemon lemonade. Glonojad, (pronounced Glonoyad), is also popular for its sizable portions and low prices. It sits just outside the central square. During the warmer months people are enjoying it’s lovely terrace. Choose from an array of handmade Polish salads to accompany your spicy burrito or vegetable lasagna. Alternatively, why not enjoy a chilled bottle of Miloslaw alongside a large bowl of piping hot pumpkin curry. If you are still hungry, then get a second helping from their international options. Or for the sweet-toothed amongst you, peruse a wide selection of homemade cookies and cake. Here you’ll find perfectly spiced, aromatic, taste-bud-shocking, vegetarian cuisine of the Far East. Need I say more? If you fancy Vietnamese Pho, or are swayed towards sushi, or perhaps spring rolls, or even Thai fried vegetables, then Pod Norenami is the place for you. Be prepared to pay a little more here than at many of the cheaper options around, but it is certainly worth every zloty! Try the Quiche at Karma Cafe! For a richly-flavoured coffee and a wide range of vegan options, Karma Café is one of the best in town. Here, everything is homemade, from the fresh salads to quiche and pies. A variety of bread and cakes are available, including chocolate, banana, carrot and more. Should you frequent Karma Café, you might want to remember the words ‘bardzo pyszne’. With this variety of delicious options, Krakow cuisine is well equipped to cater for all appetites. It is also worth noting that many of Krakow’s Polish restaurants offer vegetarian options such as traditional pierogi ruskie – dumpling filled with potato and onion – or potato pancakes with sour cream. This is just a small handful of the delights that Krakow’s food scene has to offer, try a few and decide yourself- Smacznego! Next story Basics – Florins? Forints? What’s the deal with the Hungarian Currency?